Erwin Pauly has developed new techniques in carving, that have never been made before. In the 1960’s the abstract carvings has been a milestone in modern carving. In the 1970’s Erwin Pauly developed new ways of portrait carvings by relief shadowing techniques. In the same time Cameos with the combination of relief- and intaglio techniques were created in his Atelier. The 1980’s brought his revolutionary “Free Form Cameos”. 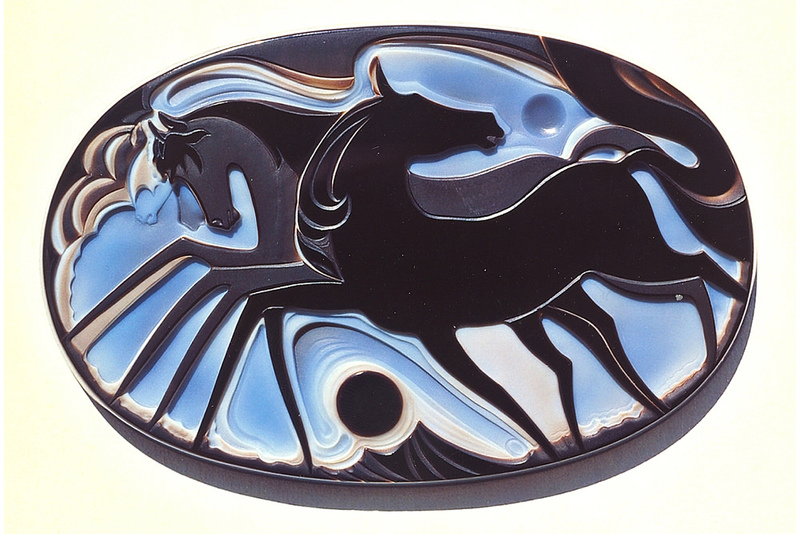 Erwin Pauly left traditional ways of cameo carvings in shapes like round, oval, or octagon. 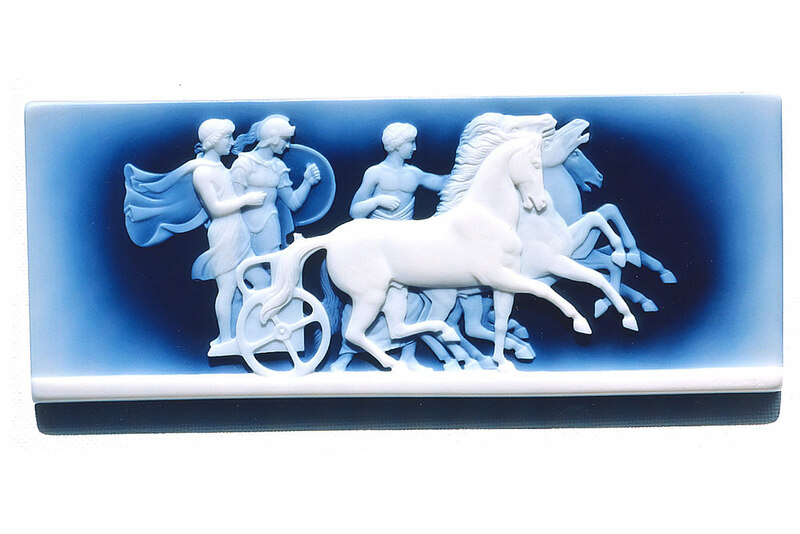 His design from now on was the basement of the form of the cameo. He also changed the expression of faces and hair by reducing details. These new cameos gave designers, goldsmiths, and jewellers new inspirations for spectacular frame designs. The “Free Form Cameos” have also been Erwin Pauly’s answer to uncontrolled mass production via ultrasonic techniques of cameos.